The next time someone tells you that the state education system has failed, that it’s a waste of time and money, and that the best option is privately run education … blah, blah, blah, do two things; ask him if he has any objective data to support the fallacy of the neoliberalism of the old boy network, and then invite him to remember the festival ‘Com Sona l ‘ESO’. I don’t know if you will convince him, but at least you will have a good time with the music, the choreography, the boundless energy, and the cheerfulness of the 1,400 boys and girls who love what they do and what they are. This festival that we were so lucky to organize from within brings some valuable conclusions. First, the legitimate pride of belonging to a state educational system, offering quality and equal opportunities, in which everybody has his place regardless of origin, or economic status. We cannot say we work for a fairer society, if from childhood and adolescence we institutionalise barriers which perpetuate privileges. And this satisfaction is even greater when we achieve it together: students, teachers, parents, a handful of volunteers and musicians together with the support of the department of Culture of Xàbia Town Hall, headed by PSOE councillors Empar Bolufer, and Antonio Miragall Tourism councillor. Don’t bother looking for representatives from other government administrations such as Valencia, in the photos because they’re not there. 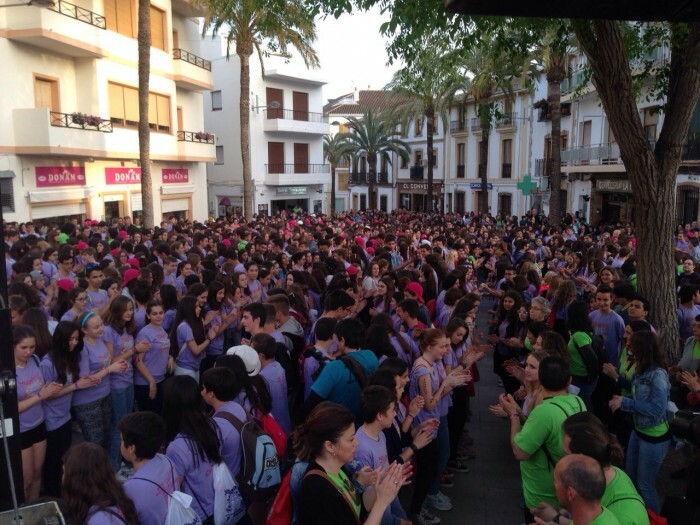 It seems that an event with a tradition of 16 years, held in the Marina Alta, representing more than 50 state schools in Cataluña, Valencia and the Balearic Islands, and bringing together more than 12,000 people, did not interest them. They must be busy with their own dances. Secondly, the festival favoured the celebration of the cohesive role of culture. Xàbia literally vibrated with the music of the ESO and we managed to work together, not only with members of the education community, but also with representatives of the Banda de Música, the Music Conservatory, Xirimitab‘s, the Portitxol Dance Group and many more people from our town and other towns who wanted to lend a hand. 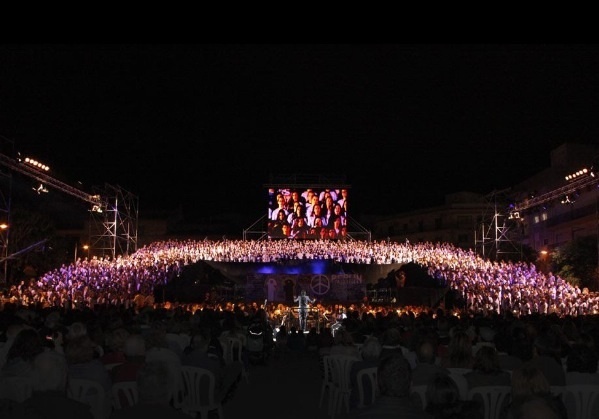 The result was an unforgettable event which for a few days made Xàbia the capital of music and culture of our country. You’ll understand that lines “on the map” aren’t necessary, it’s sufficient to have sensitivity, sanity, willingness to work and the conviction that this is the way to do it: with events which suit the people. As if that was not enough, the economic benefits of Com Sona l’ESO were truly a great success for Xàbia. The occupation of hotel rooms and the impact on the hospitality sector and business was excellent; more than during the San Juan fiesta, according to some professionals from the sector. Initiatives like these will make us grow as a town. Ahead of us we have a very significant election and I, as a member of the Xàbia PSOE, have chosen to continue supporting – indeed, with such results – through the medium of culture and this public. We will soon have a refurbished Central Cinema which will be a great cultural boost for the historic centre of Xàbia and we have shown that we have the necessary resources to make everything that we propose into a reality. Also, we will ask for the Training Course for the Design and Maintenance of Musical Instruments for the IES Antoni Llidó College so that our strong musical tradition turns into real job opportunities. The men and women on the PSOE candidate list are determined to continue working for a lively and dynamic Xàbia, which continues as an example of integration for everyone. I am confident that together we will succeed. Quico Moragues, music teacher at IES Antoni Llidó and candidate number 5 for the Xàbia PSOE.